Painting Seattle, Bellevue & surrounding communities since 1979. Learn more about our high quality interior and exterior painting and staining services from Seley Painting Services. 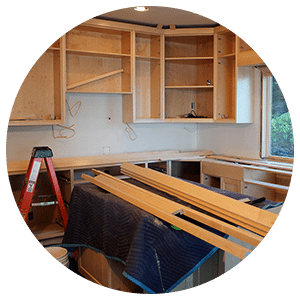 Learn more about cabinet painting through Seley Painting, the most trusted Seattle and Bellevue painter. Learn how Seley Painting can wash and seal the exterior surfaces of your home, improving appearance and longevity. We’d love to hear from you. Fill out the contact form or call/email us directly. What type of work do you need done? Mark Seley started in paint and woodwork industry in 1979. Alongside his General Manager of over 30 years, Doug Dingwall, Seley Painting has served over 500 clients in the Seattle and Bellevue community for almost four decades. 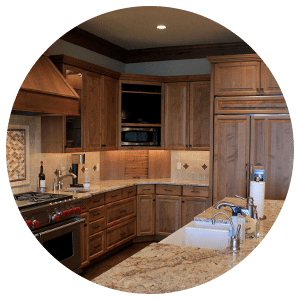 Our longevity and loyal customer base are true testaments of our mission to provide the highest quality painting and woodwork finishing for your home. Our employees are trained with the Seley standard of quality and are meticulously thorough from beginning to end. We understand the importance of your home’s appearance and will work individually with each customer to ensure that we bring your vision to life. When starting your next painting project, choose the most trusted Seattle and Bellevue painter, Seley Painting.